What if—whoosh, right now, with no explanation—a number of us simply vanished? Would some of us collapse? Would others of us go on, one foot in front of the other, as we did before the world turned upside down? That's what the bewildered citizens of Mapleton, who lost many of their neighbors, friends and lovers in the event known as the Sudden Departure, have to figure out. Because nothing has been the same since it happened—not marriages, not friendships, not even the relationships between parents and children. Kevin Garvey, Mapleton's new mayor, wants to speed up the healing process, to bring a sense of renewed hope and purpose to his traumatized community. Kevin's own family has fallen apart in the wake of the disaster: his wife, Laurie, has left to join the Guilty Remnant, a homegrown cult whose members take a vow of silence; his son, Tom, is gone, too, dropping out of college to follow a sketchy prophet named Holy Wayne. Only Kevin's teenaged daughter, Jill, remains, and she's definitely not the sweet "A" student she used to be. Kevin wants to help her, but he's distracted by his growing relationship with Nora Durst, a woman who lost her entire family on October 14th and is still reeling from the tragedy, even as she struggles to move beyond it and make a new start. 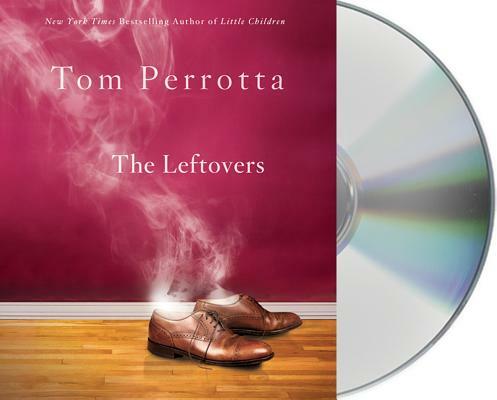 With heart, intelligence and a rare ability to illuminate the struggles inherent in ordinary lives, Tom Perrotta The Leftovers has written a startling, thought-provoking novel about love, connection and loss. Dennis Boutsikaris, winner of AudioFile Magazine’s 2010 Best Voice in Mystery & Suspense, has recorded more than 100 audiobooks for publishers in the United States and Great Britain. His critically-acclaimed work has garnered four Golden Earphone awards and two Best Voices of the Year Awards from AudioFile Magazine and five Audies from the Audio Publishers of America. His performances include reading novels by Richard North Patterson, Tom Clancy, John Grisham, and Joseph Finder. Boutsikaris has appeared in numerous Broadway, television, and film roles. He played Mozart on Broadway in Amadeus, and has appeared on television shows including Shameless, The Good Wife, House M.D., Grey’s Anatomy, ER and Law & Order. He has won two Obie Awards—one for Outstanding Performance in Nest of the Wood Grouse and one for Outstanding Performance in Sight Unseen. His films include The Bourne Legacy, W., The Education of Charlie Banks, *batteries not included, Dream Team, Boys on the Side, and Crocodile Dundee 2.